I had too many regrets with my first trip to Bohol that I had to go again before leaving the Philippines. I started this second round in Bohol with a day tour of the main attractions of the island. For this, I hired a driver and his scooter for the day. He was really happy to get the business and I even got to meet his family as we stopped to pick up an extra helmet. 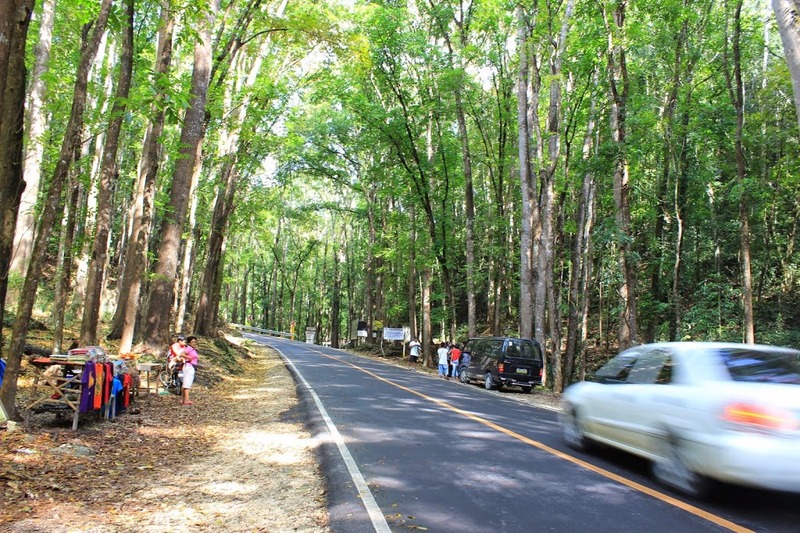 We then hit the road to go to the Loboc River Cruise, the Chocolate Hills, the Butterfly Farm, the Man-made Forest and the Baclayan Church. 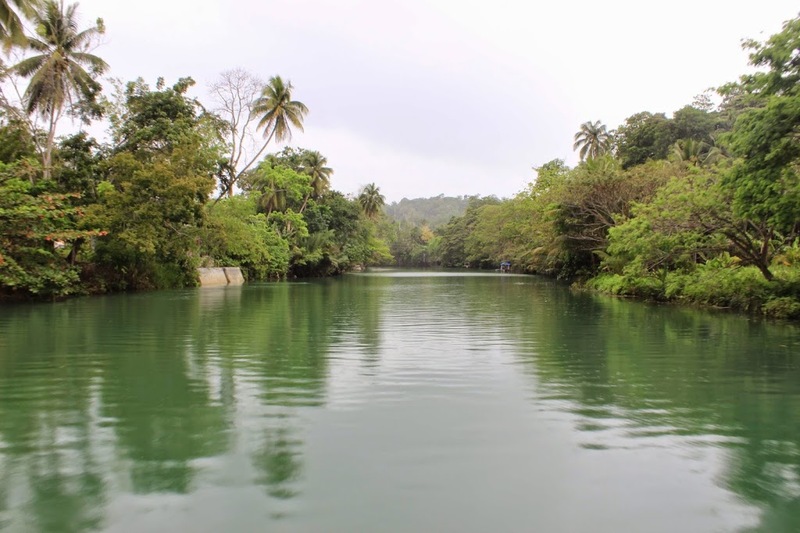 We started with the renowned Loboc River Cruise. As I had seen tarsiers in the Sanctuary, I had no interest in seeing them caged in Loboc, so we went straight to the cruise site. It was raining for a bit, so we did close the shutters as we were eating, but we reopened them later on. I sat at the single table it seems, which is ok because I did get along well with the others. The sights, the food and the music were all nice. At one point the boat stopped to a platform upstream where girls from a dance school performed a traditional dance. As nice as the cruise was, I found that the fact that I was alone did take away from the experience, but I would highly recommend this to couples as it has everything to be very romantic. 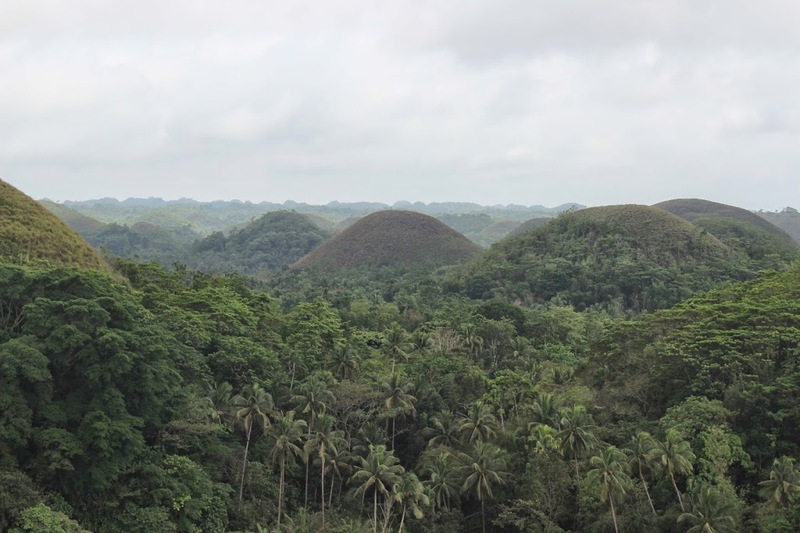 The Chocolate Hills are another major attraction in Bohol. It is the name given to about 1,268 dome-shaped hills which cover more than 50 square kilometers. The name derives from the chocolate color taken on by the hills during dry season. 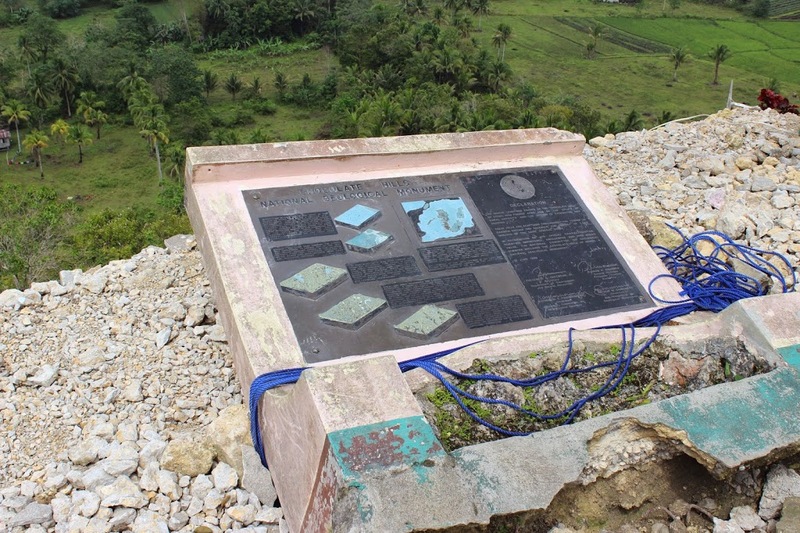 Here too, you can see traces of the earthquake that shook the region. The Butterfly Farm was surprisingly instructive. Not only was it a nice walk around the gardens, with beautiful lounging areas and delicious home made ice cream, but there was actually quite a bit of content transmitted throughout the visit. 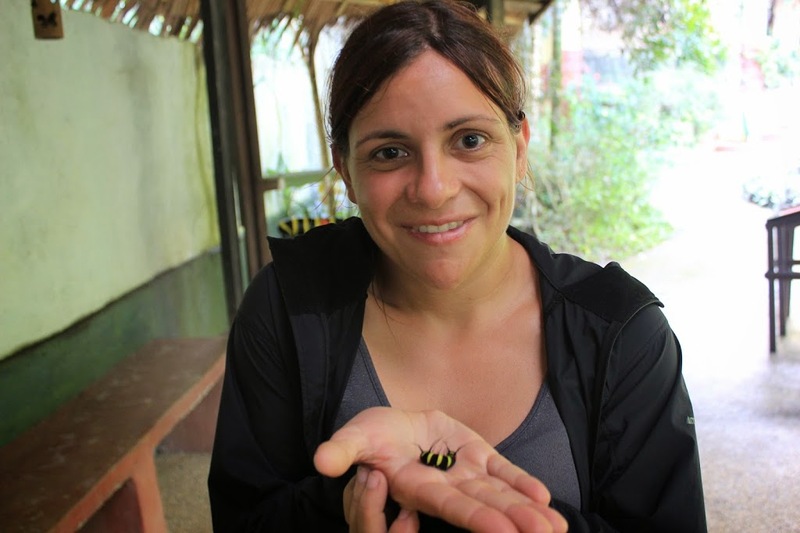 I got to smell female butterfly pheromone (don’t ask me how…) and, surprisingly, it smelled pretty chocolatey. I got to see cocoons at different stages and I learned that the more beautiful the caterpillar, the uglier the butterfly. On our way to Baclayan Church we drove through a place called the Man-made Forest which, like its name suggest, was hand-planted. This forest was part of a bigger reforestation initiative in response to the deforestation around Loboc. Unlike most hand-planted forest I have seen, I did not notice it here. Normally, you can spot it right away due to the neat rows of trees. Here however, the tree distribution in the forest was as chaotic as it should be. This is deemed to be a successful initiative and I can see why. 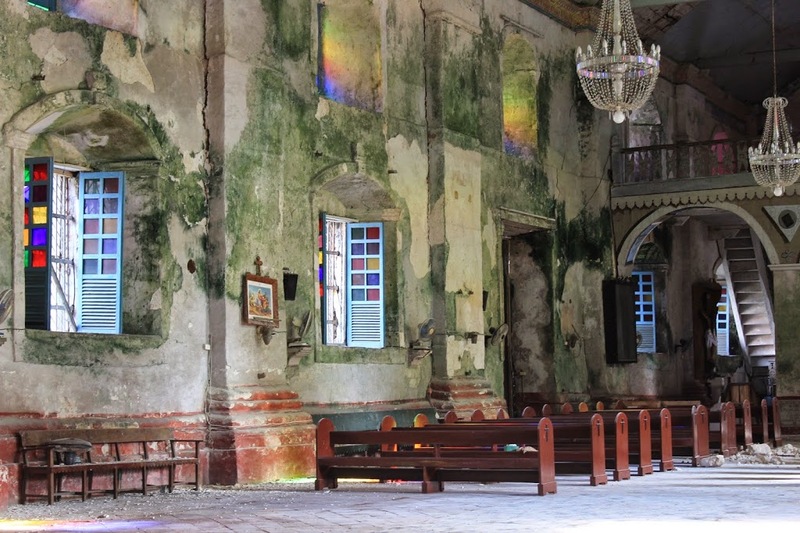 Baclayan Church, like many other churches in the Bohol region, was shaken up pretty bad by the last earthquake. I have seen churches completly destroyed. What makes it so sad was thinking how old some of them were and how important they were to the Filipinos, considering their extremely strong faith. 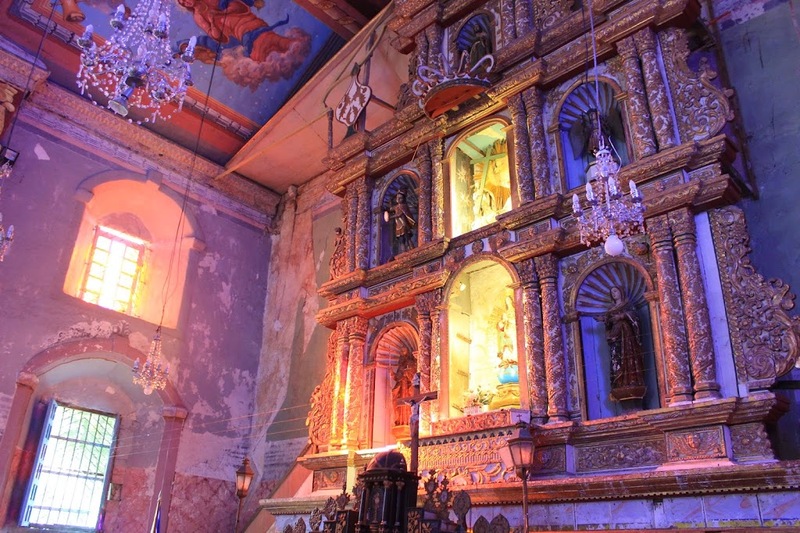 Baclayan Church was transformed into a museum of sort, with the entrance fee going toward rebuilding. As such, it displayed all sort of items from ceremony tools to figurines. With a small donation, you could light a candle in front of a figurine of your choice. I am not a believer, but I did light one for my brother. Some figurines were old and reminded me somewhat of those old dolls in horror movies. Other items were just plain so beautiful you could imagine them in a pirate chest. Each item in its very own way was precious for all its history and significance. The visit was different in a good way, which I suppose is due to the state of the church. 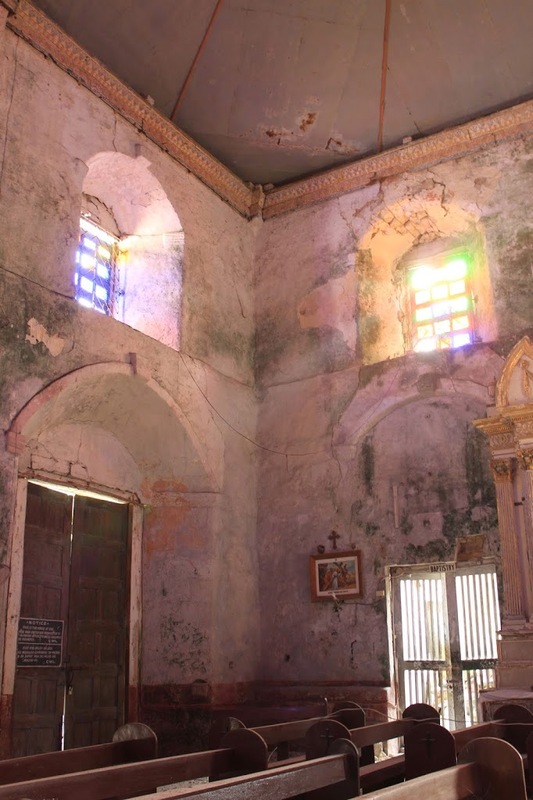 I like to visit churches and I like to visit ruins, as such this was the perfect place for me. It also serves as a nice symbol, considering the ongoing rebuilding effort. Despite adversity, you can always rise again. This made me realize just how enduring the Filipinos are. It seems that despite their buildings and infrastructures being destroyed repetitively by earthquakes, they never stay down for long.